The Musical Living Academy begins a new round of Adult Recreational Piano Classes this Wednesday at 7 P.M. The MLA is located at 1000 Westway Ave in McAllen, Texas. You can call 956-221-3145 to reserve your spot. You may have always wanted to play the piano, but never had the opportunity. There is no reason why, as an adult, you could not learn how to play the piano. 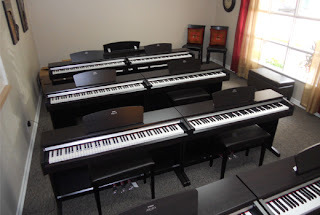 You'll find that there are other benefits to learning how to play piano beyond the skill. Some of those benefits include improved mental acuity and health. Edelir Garza has many years as a music instructor to people of all ages. The idea of having a class just for adults is relieve a bit of the anxiety that comes from having younger folks as classroom peers. Musical Living Academy sets a comfortable environment for you to finally learn how to play the piano like you've always wanted.